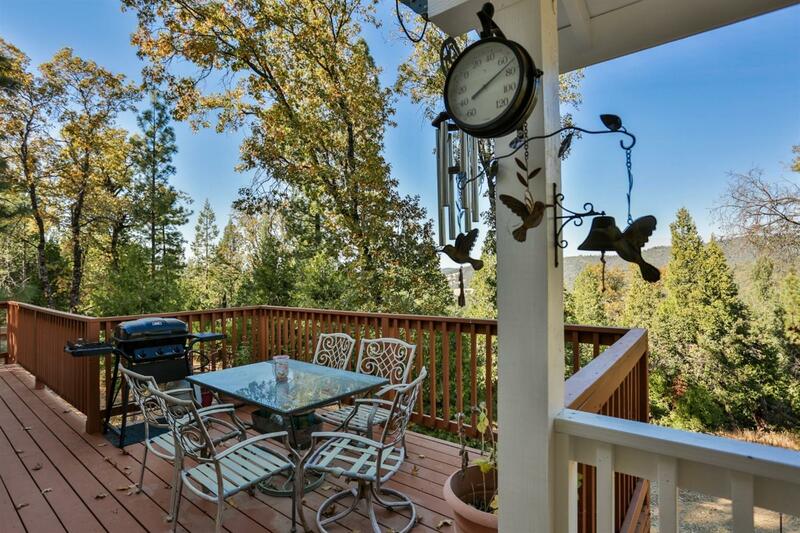 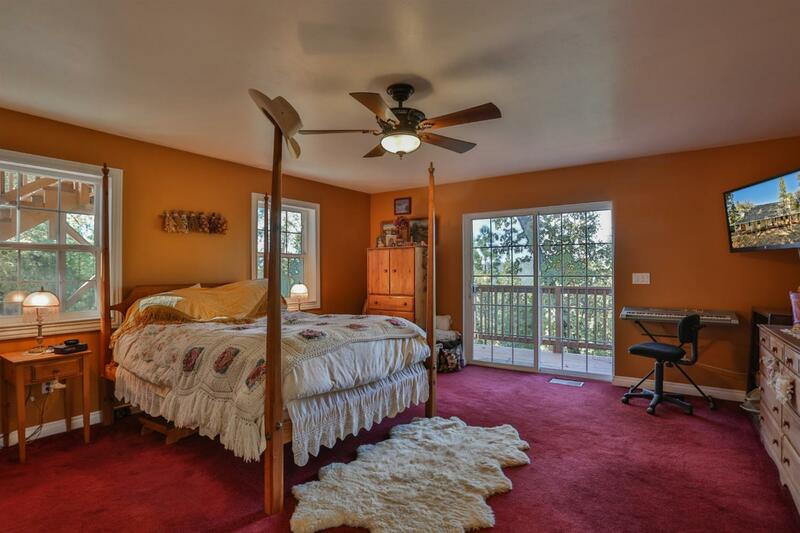 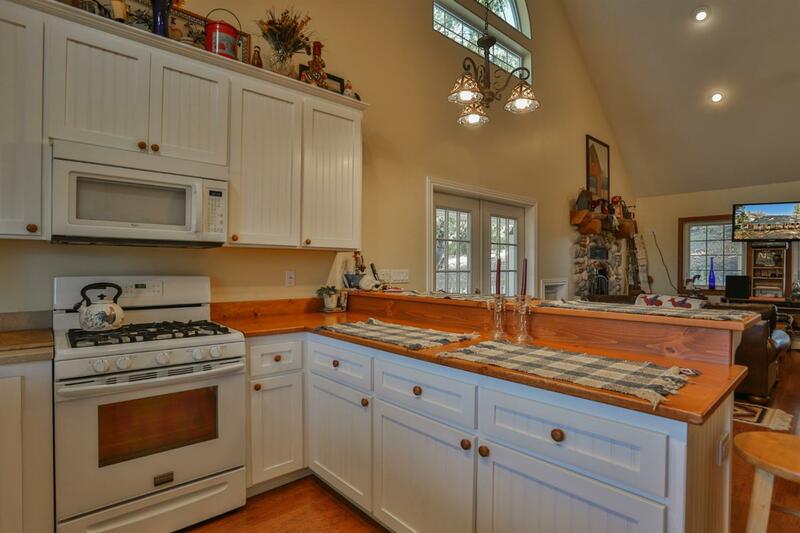 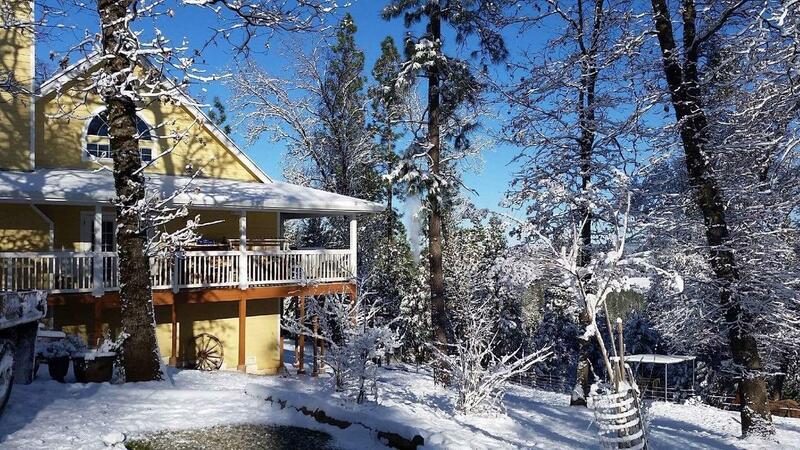 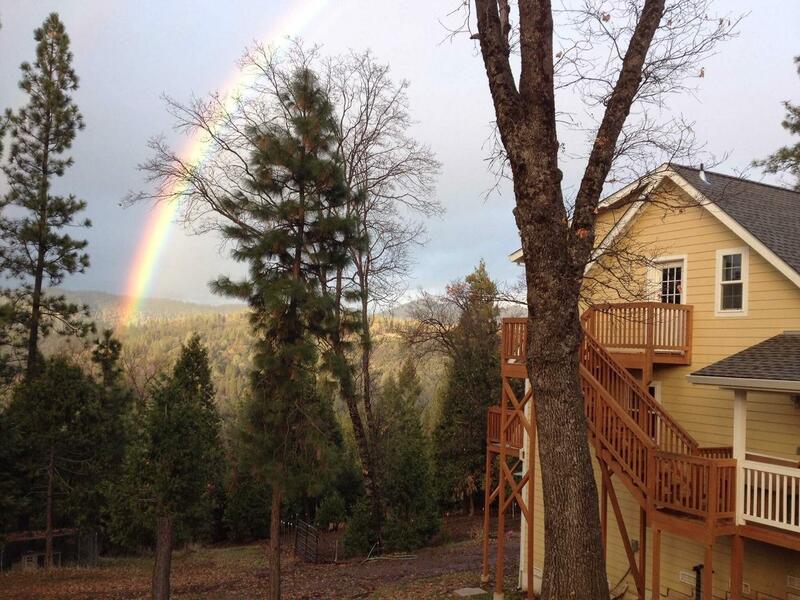 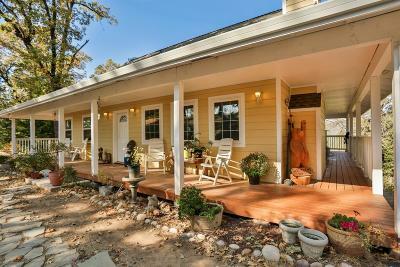 Live in the mountains and enjoy the peaceful sound of the North Fork of the Consumnes River. 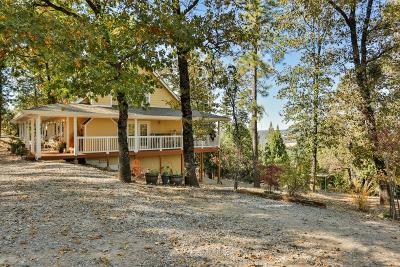 Located just 20 minutes from wine country in Fair Play and 30 minutes from Apple Hill and Placerville for shopping and medical services at Marshall Medical Center. 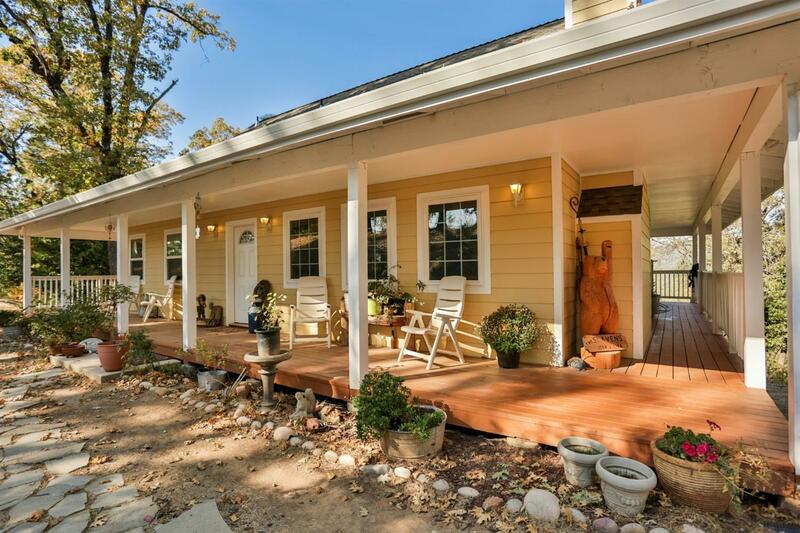 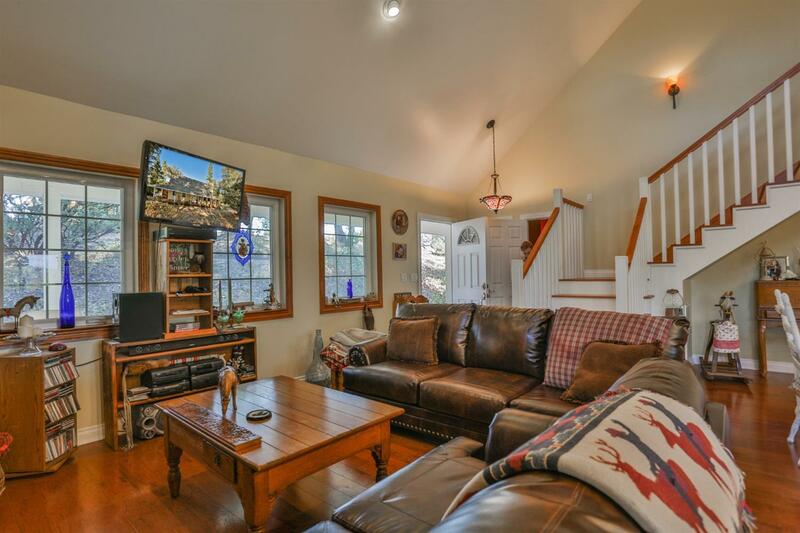 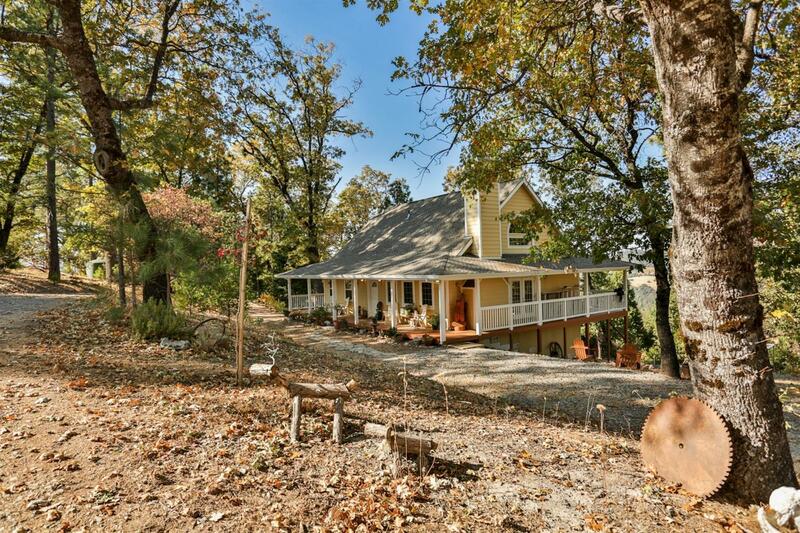 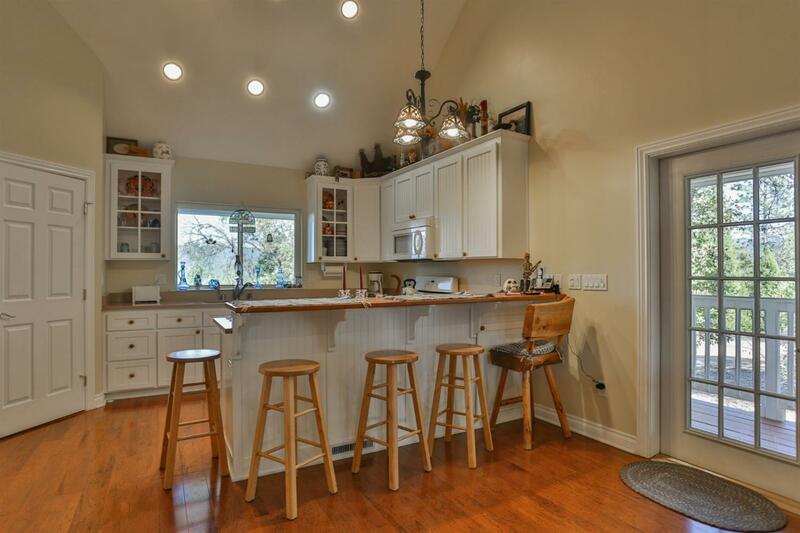 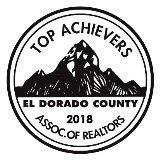 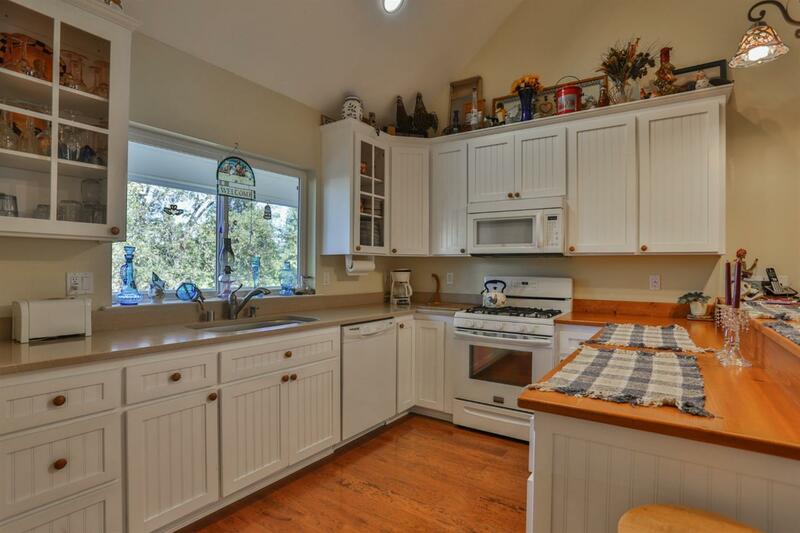 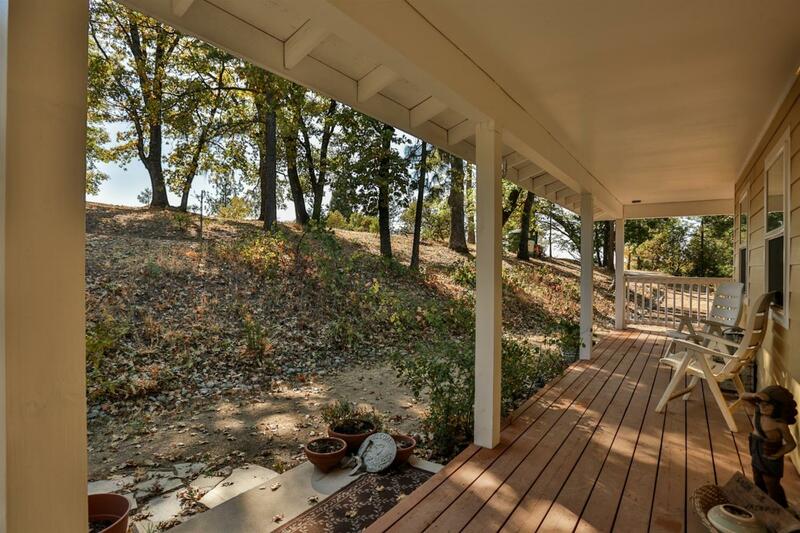 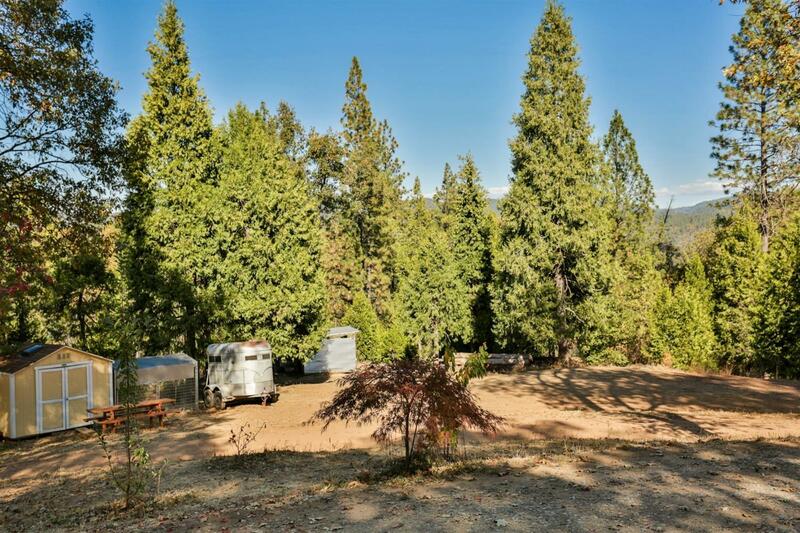 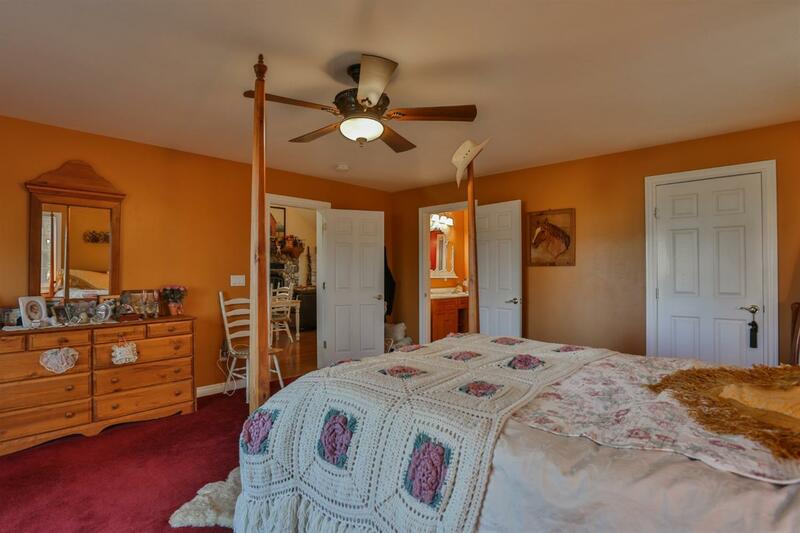 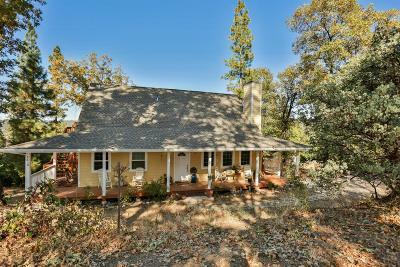 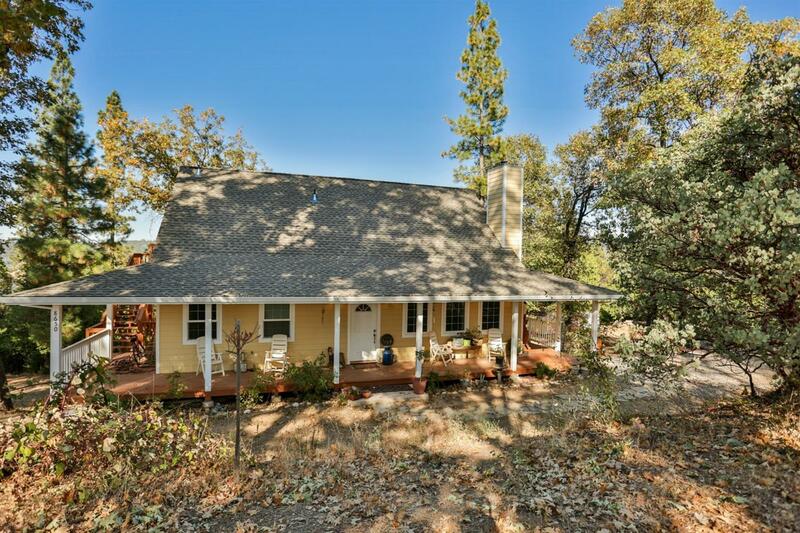 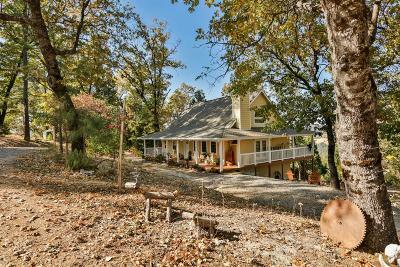 This 2 story home on 4.94 acres is a custom country farm house with a wraparound porch and deck with fantastic views of Happy Valley and the Sierra Foothill Mountains.There are 2 master bedrooms, 1 on each floor with separate entrances and 2 zone HVAC. 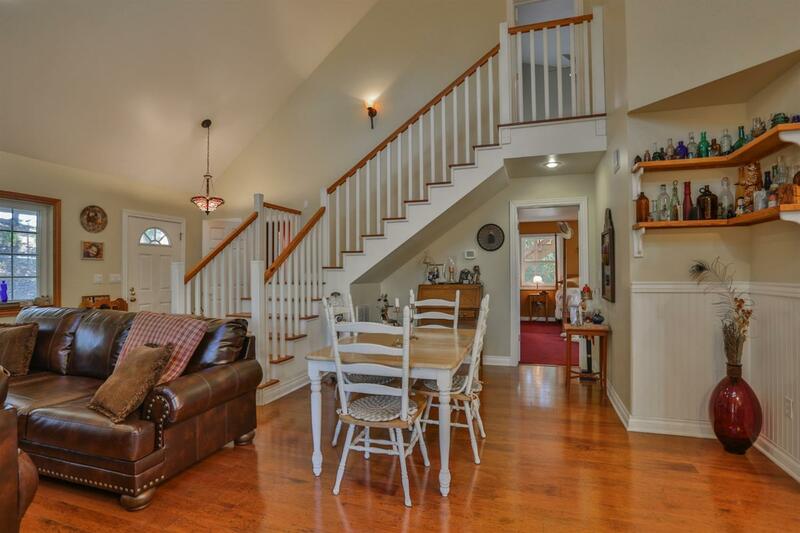 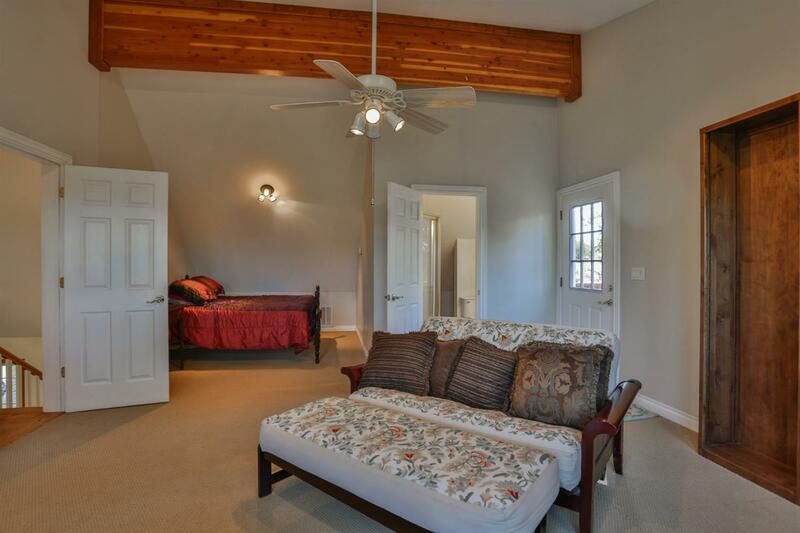 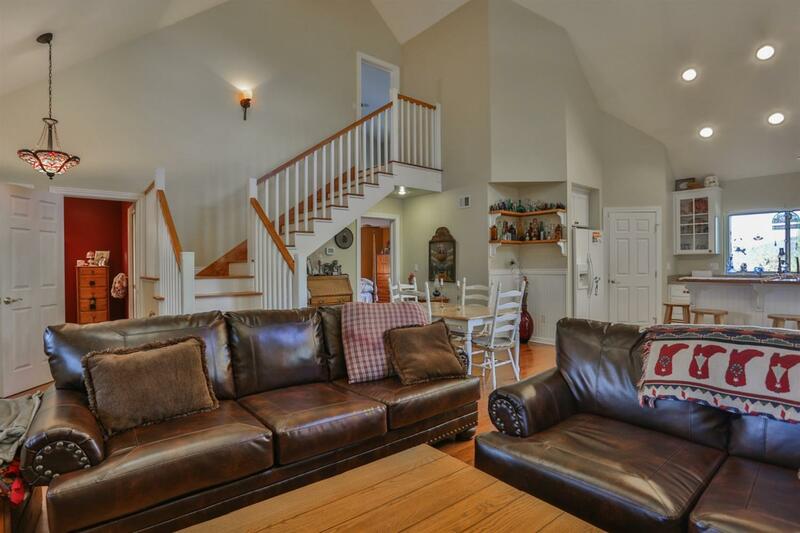 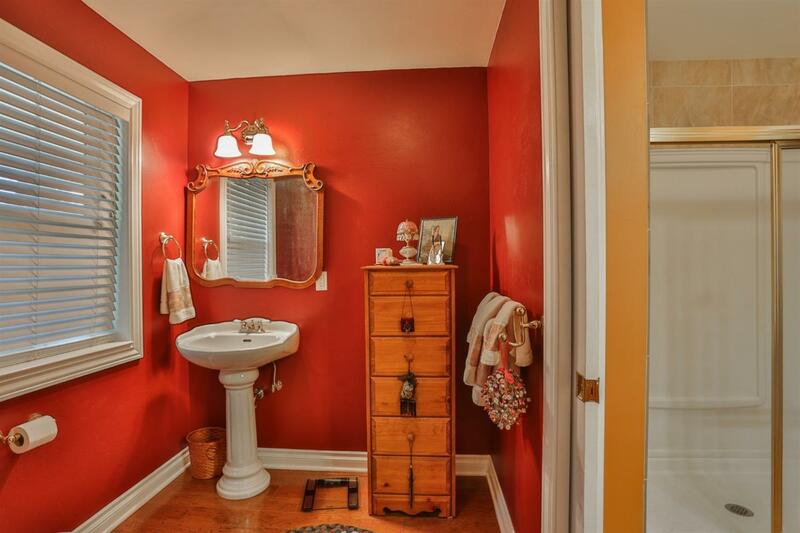 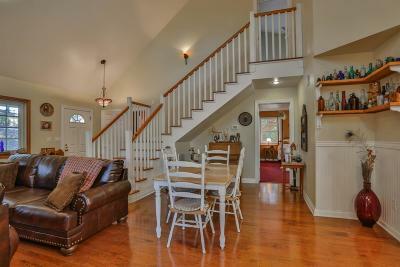 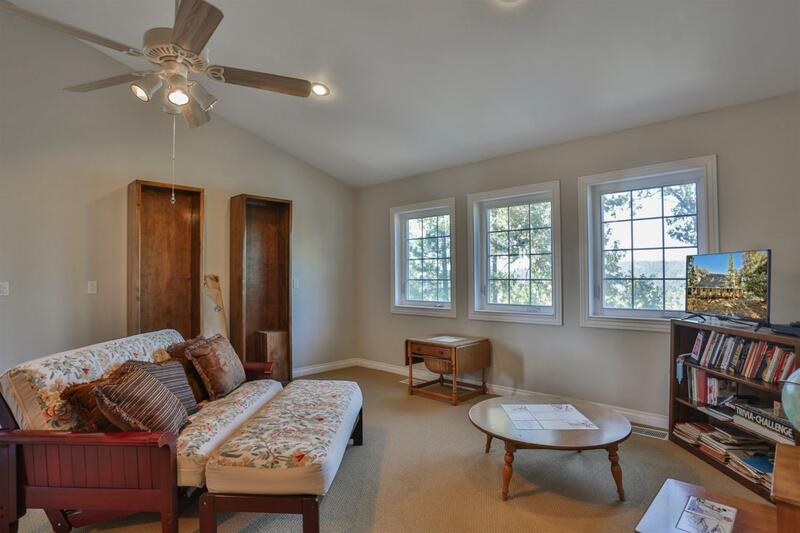 Upstairs master serves as guest quarters and can be converted into 2 bedrooms. 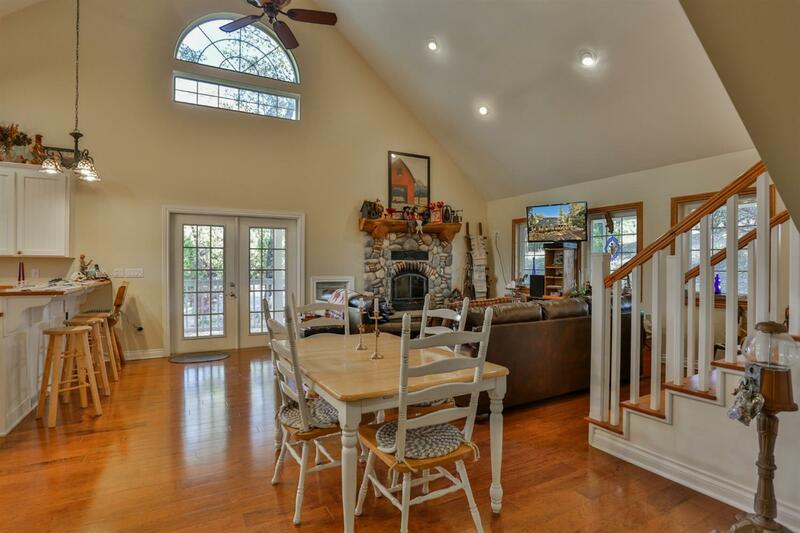 Home has an open floor plan with 23 foot ceilings, hickory flooring and a stone fire place with a blower. There is a large storage area under the house. 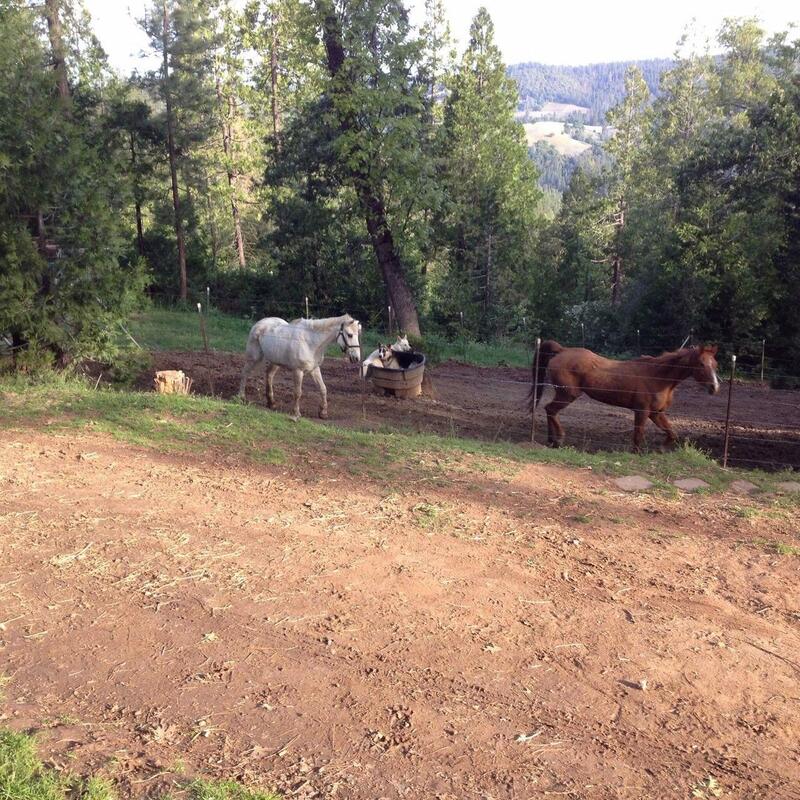 The property is set up for horses with access to trails. 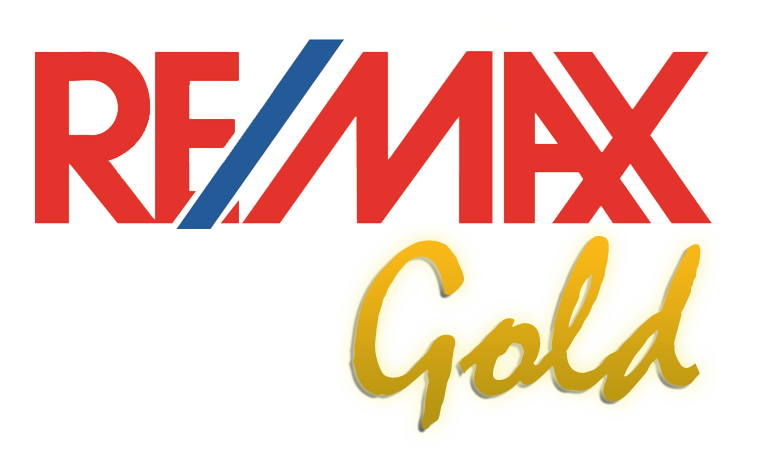 This home is gorgeous in and out and move in ready. 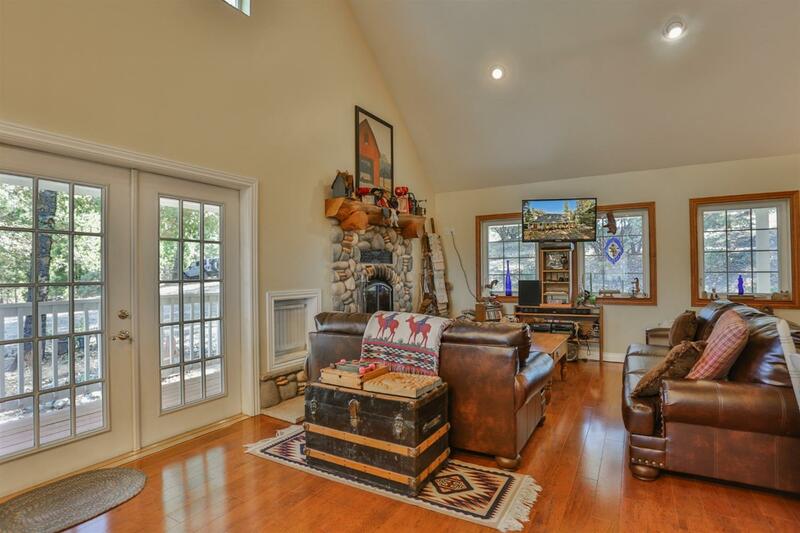 It is in a very private setting next to BLM. 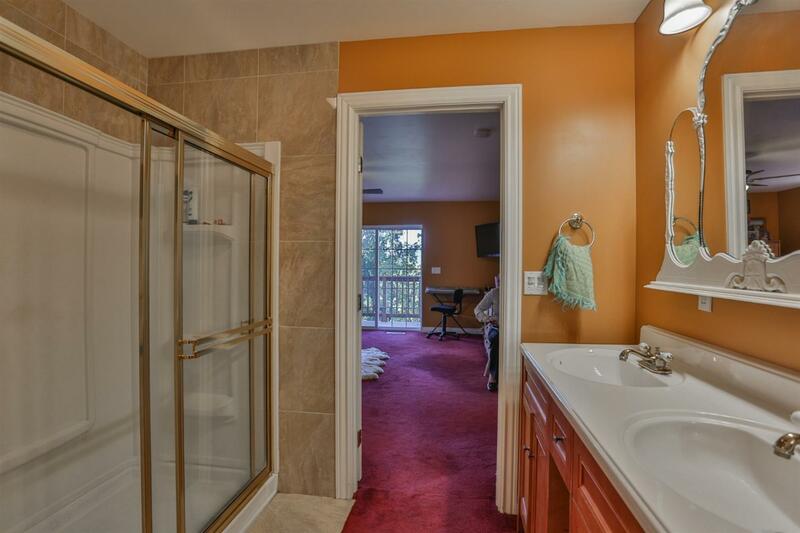 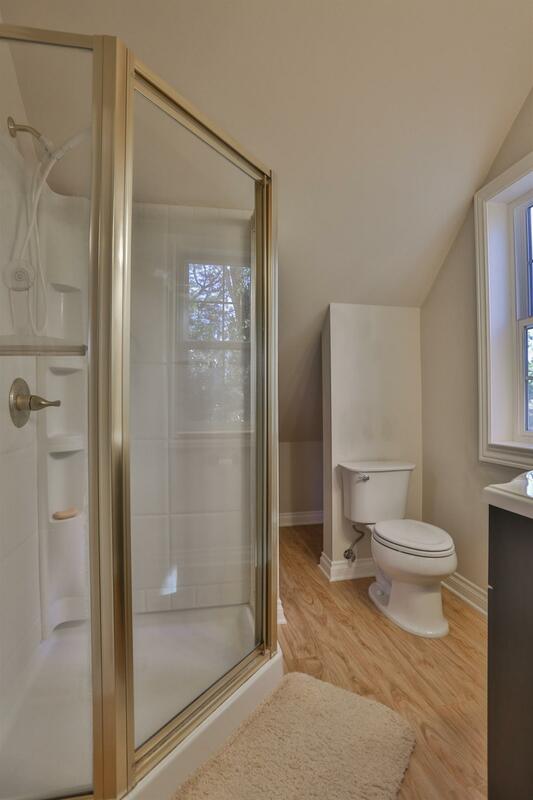 This home has fantastic views. 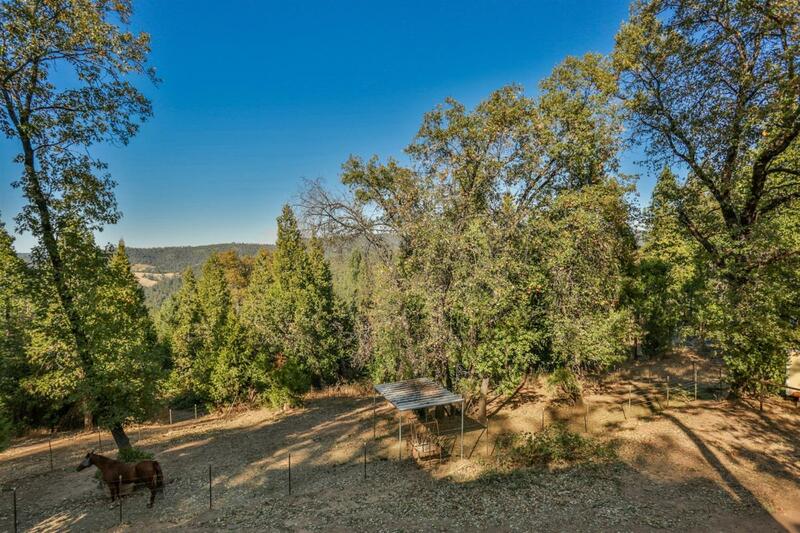 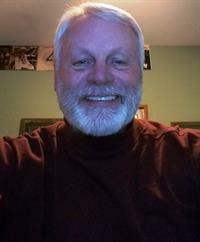 Check out the sun, moon & stars, bring animals and horses.